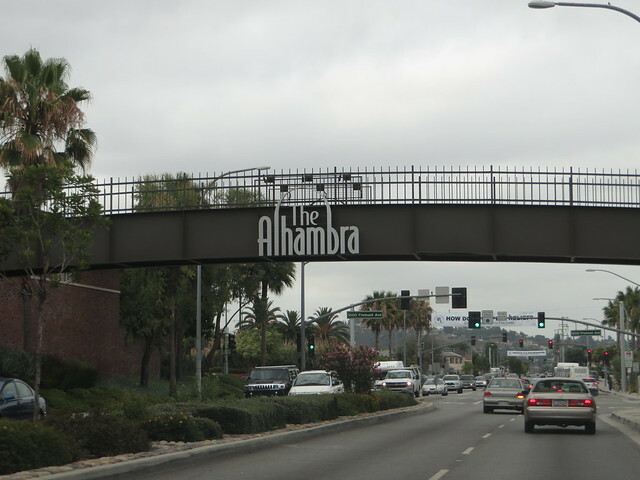 A part of Los Angeles County, Alhambra is only eight miles away from the center of LA. Its proximity to the county’s administrative seat makes it a very attractive choice for relocation. Of course, that’s not the only reason why people want to make Alhambra their new home. The city is also great from the business point of view. Economy in this place has been booming for many, many years, which is why many entrepreneurs choose it as the destination for their new businesses. Whatever the reason might be why you’re thinking about moving to Alhambra, you should know that you have real pros ready to help you with the move. Actually, ‘help’ might not be the right word in this case, because our Alhambra movers can take care of literally everything related to your relocation. Residential moving services. If you’re moving into a new place in Alhambra, you surely don’t want to leave all your stuff behind. This is why you ought to give us a call, as our movers can transport any kind of furniture, regardless of how large or heavy it is. Commercial moving services. If you’re starting a new business in Alhambra, you want your office items to get there in one piece. Our movers in Alhambra, CA can make sure exactly that happens. They will pack your stuff carefully and transport them in a safe manner, so nothing will get damaged along the road. Local moving service. If you need to transport a piece of furniture from one place in Alhambra to another, but that item can’t fit inside your car’s truck, the solution is to call us. Our team of local movers can come to your place and do the move right away. Long-distance relocation. If you’re relocating from some place far away from LA, it doesn’t mean that you will have to leave your belongings behind. Our team of movers can transport your things from any part of the Western United States. Storage service. If your new place in Alhambra is not yet ready for moving in, you can keep all of your stuff in our storage facilities. Special equipment. You have nothing to worry that your cargo will be damaged because our movers use special tools for packing and loading, which will ensure their safety and security. 24/7 service. If you need a moving service right away, we stand at your disposal. It really doesn’t matter what time of the day it is, we’ll be able to help you. Our movers also work weekends, if necessary. Unlimited number of stops. If you need us to pick your stuff from several locations, no problem. Our movers are willing to make as many extra stops as you want them to. In case you’re not yet sure that Alhambra should become your new home, here are some quick facts about this city that you might find helpful. The city falls into the 10-mile radius from Downtown Los Angeles. Peace and quiet city. Unlike Downtown LA which can be crowded and noisy, Alhambra is a peaceful heaven. Friendly locals. The city is famous for its openness to immigrants, so if you decide to move here, you’re going to be welcomed. Good business climate. The city is full of business opportunities, so if you’re looking for a job, you have a good chance of finding it in this place. Beautiful surroundings. Angeles National Forest is just a few miles away from the city, not to mention that there are plenty of beautiful parks within the city’s limits.